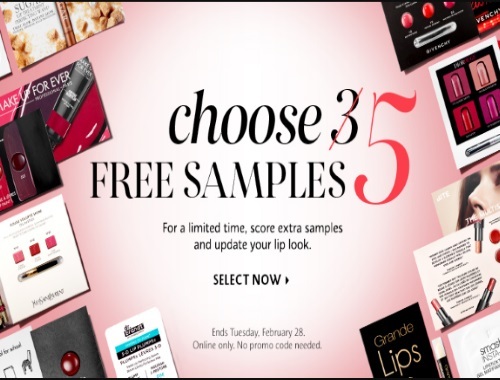 For a limited time you can choose 5 Free Samples with any Sephora online order, normally you can only choose 3! Also, they've added on some great new samples of lip products to update your lip look. There is no promo code needed, just add them to your cart at checkout. Offer is available for a limited time only February 28, 2017.